Every year, smart people come up with new and inventive ways to celebrate the holidays. What advances would you make? Christmas has been a tradition in many countries for a considerable number of years. In fact, some of the associated decorations, such as the Christmas Tree, have their roots in 16th century Germany. So you would think that by now there would not be too many new inventions that pass the tests of being novel and non-obvious to those skilled in the art. A quick search using Google yielded more than 700 filings this year using the search term Christmas, and that can be narrowed down to 251 filed in this country. 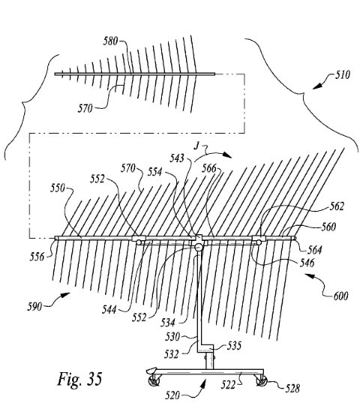 By going into the patent database itself, I find that 21 patents were issued this year, three of which were for a kind of deep water drilling operation that have a flange device called a Christmas Tree. That leaves 18 brand new, must-have improvements for Christmas this year. So, let me take a look at some of them and present the more interesting ones for your enjoyment. Please note, that I am making no judgment about them in their applicability to be patented, only that I find them interesting for one reason or another. I will let you do the math on that one. Nobody likes putting lights up on a house, and even less taking them down. Getting up on a ladder is risky business, so why not do it safely from the ground. All it takes is one of these. This dandy little device is described in patent 9,056,393 and is clearly the secret weapon in the success of the “Commercial Christmas Clip Company” down in Texas. Now, there are fewer companies that will be able to compete with them. There are some patents that are written in a way that you really have to scratch your head to work out what they are saying. Patent 8.993,077 falls into that category. The longest sentence award goes to patent 8,978,295. 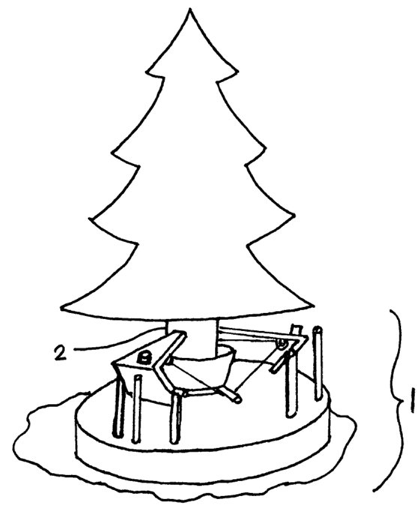 The first sentence of the abstract reads: “A self-adjusting, self-actuating and clamping apparatus employing only non-elastic material parts for vertically or approximately vertically and also downwardly securing Christmas trees or, more generically, other items configured similar to the Christmas tree trunk, to be secured vertically or approximately vertically and downwardly such that in the specific case of the Christmas tree the apparatus can accommodate various sized tree trunks as well as various peripherally/externally configured tree trunks.” For anyone counting that is 69 words. I wonder if their patent lawyer was paid by the word.